The distillery was founded in 1830 by Hugh and Kenneth MacAskill, and built in 1831 at Carbost after a number of false starts on other sites when they acquired the lease of Talisker House from the MacLeod of MacLeod. The distillery was rebuilt 1880–87 and extended in 1900. 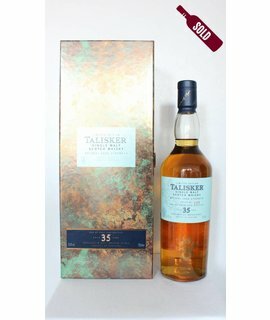 When a new lease for the distillery was negotiated with the chief of Clan MacLeod in 1892 the annual payment was to be £23.12s and a ten-gallon cask of best-quality Talisker. It was rebuilt in 1960 after a stillhouse fire completely destroyed the distillery. The distillery operates five stills; two wash stills and three spirit stills. All the stills use worm tubs (condensing coils) rather than a modern condenser, which are believed to give the whisky a "fuller" flavour (itself an indication of higher sugar content). During this early period, the whisky was produced using a triple distilling method, but changed to the more conventional double distilling in 1928. 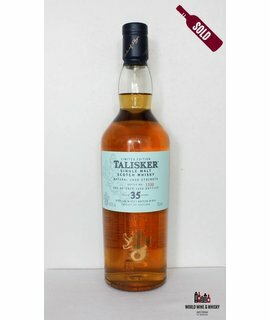 Talisker was acquired by Distillers Company in 1925 and is now part of Diageo. After the 1960 fire, five exact replicas of the original stills were constructed to preserve the original Talisker flavour. In 1972 the stills were converted to steam heating and the maltings floor was demolished. Talisker’s water comes from springs directly above the distillery via a network of pipes and wells.